Registering a domain name is very easy. If the domain name you have chosen is available then you just need to pay for it and it will be yours for a period of time. But don’t get fooled by the simplicity. You can be easily deceived here if you are not careful. To avoid that, you just need a domain name hosting provider which is reliable. Is SiteGround Good For Domain Name Hosting? What is Domain Name & Domain Name Hosting? Simply put, the domain name is the address of your website. Your visitors will use that address to find your website on the web. For instance, you have found out our website by the domain name ReviewPlan.com. Here, the part ‘ReviewPlan’ is the domain name and the part ‘.com’ is the domain name extension. Now, there are companies where you can buy domain names. They store those domains and facilitate the whole registration process. There are a lot of domain name registration providers. Some of them exclusively provide the service of domain registration only. On the other hand, some provide other web hosting related services as well. Fortunately, SiteGround is one of those companies which provides both domain hosting and web hosting. So, you can register a new domain name with SiteGround anytime you want. Why SiteGround is good for domain name hosting? After thorough research, we have come to a resolution that SiteGround is actually a good domain hosting provider. As SiteGround also offers normal web hosting, it is best if you choose SiteGround as both of your web and domain hosting provider. Let’s learn more about the convenience of using SiteGround. There several types of domain names are out there. SiteGround has got the most popular types at their disposal. They have 3 types of domain names. They are Popular Domains, Country Domains, and Special Domains etc. In this category, you will find the most used domain name extensions to register. For instance, you will have .com, .net, .org, .biz, .info etc. SiteGround offers a lot of discounts from time to time. So, if you want a great deal then wait for the discount period. You might have already guessed it from the name of this category that these domains are used for country-specific reasons. If you have a local website then you can buy this type of domain names. Normally, this type of domain name extensions includes the first couple of letters of your country’s name. For instance, the country domain extension for Canada is .ca. Case in point, for acquiring some of this domain name extensions, you might need to have some special residency requirements. There are some unique domain name extensions available at SiteGround as well. They have categorized them in the ‘special’ category. Some of the extensions are as follows: .online, .blog, .club, .xyz, .shop etc. You have to remember that you will have to pay a little higher for these as these are unique domain name extensions. Again, SiteGround also offers discounts on their special domain name extensions. So, for a better deal, you should wait it out. Nobody likes complicated things. And, SiteGround understands that very well. Thus they have made it very easy to buy/register a new domain name from them. It applies to both of the new and old customers. If you want to register a new domain name, you have two options. First, you can buy your domain name while you are buying the hosting account from SiteGround. And, on the opposite, you can also buy the domain name even after buying your web hosting account. So, if you can’t decide a good domain for your website yet, with SiteGround you have the option to wait. The best thing about getting a domain name from SiteGround is that you can also get one of their web hosting packages. They have all types of hosting packages ranging from shared, cloud, dedicated to enterprise hosting. You will definitely find the best fit for your needs from these selections. After buying a new domain name, you will have to perform some technical tasks for setting things up. If you are experienced then it will be no problem for you at all. However, for beginners, this can be a tricky place to be. In this instance, you can decrease the workload from your shoulders by taking a hand from the customer support team of your domain name provider. Fortunately, SiteGround has this covered very well. They have a well-trained and highly skilled customer service team. Aside from the fact that they are very skilled, the most important thing is that they are super friendly. For your information, we are using SiteGround as our web host provider for a long time. Thus we have been contacting their support team whenever we are in need. Every time they were pretty helpful to us. Honestly, we are amazed by their service. They are offering many ways to communicate such as live chat, phone call, submitting a ticket, email etc. Typically, you need to use live chat for a faster response. But, you can also use a ticket for specific issues. That way you will be assisted by a customer support staff who is skilled in your specific issue. Whatever the medium you use to contact them, you will receive the best results from the conversation. So, if you’re thinking about domain hosting then you can trust on SiteGround’s support. You should never compromise on the security aspect when it comes to anything related to the internet and the web. There are thousands of sites are getting hacked daily. And, day by day the occurrence of cyber-attacks has been increasing. So, you need a domain provider which is secure. Speaking of which, SiteGround has a strict policy when it comes to the security of their customers. They have multi-level security set up on their servers. They also keep all of their software and hardware updated on a regular basis. On the other hand, some of the other popular web host providers rarely update their hardware and software. Their servers are also protected from any kind of unwanted DDoS attacks. Aside from that, they offer free built-in SSL with every web hosting account. 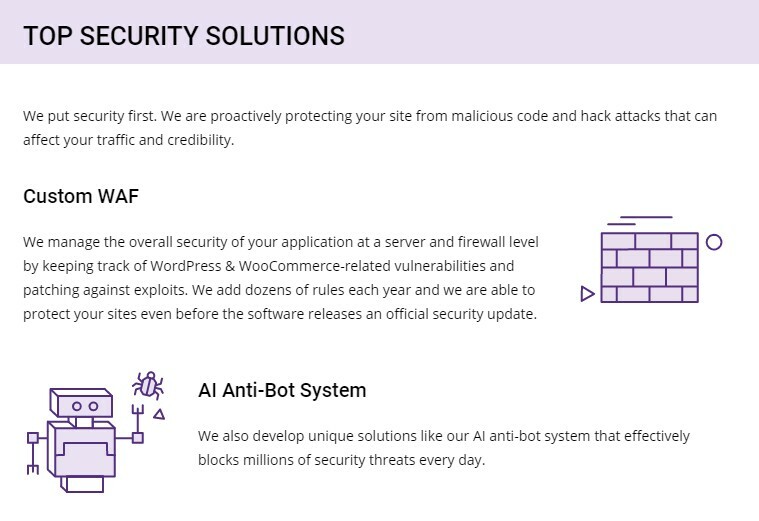 Overall, we can assure you that, you don’t have to worry about the security of your website if you go with SiteGround. SiteGround offers free SSD hosting with all of their web hosting plans. Using SSD over HDD can be very beneficial to the load speed of your website. CDN also can impact the performance of your websites positively. 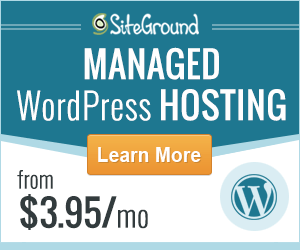 SiteGround is offering a free CDN service with every web hosting account of them. Besides that, they offer free daily backup of your website. So, you don’t have to worry about losing your website contents. It doesn’t matter if you have the best sounding domain name ever, if your website goes down from time to time frequently then you are in trouble. You should choose a web host which is known for its good uptime performance. 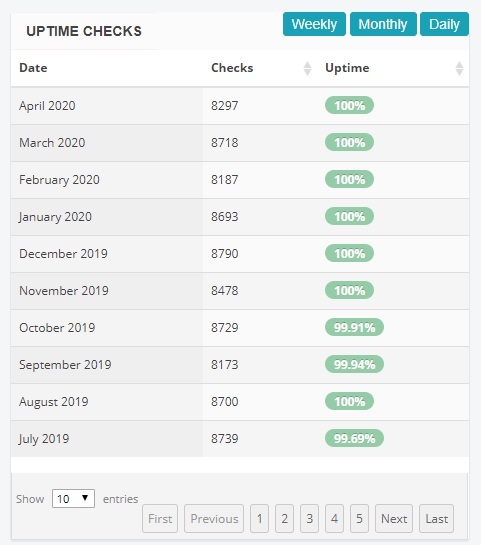 Lucky for you, SiteGround has the industry standard uptime record (99%+ Uptime). You can see the screenshot below to learn more about it. You can register your domain from anywhere. There are a lot of options for that. However, whatever you do, look before you leap. Otherwise, you might end up buying your precious domain name from a shady company which doesn’t care about its customers. To avoid this kind of difficulties, you can always turn to a trustworthy company. And, SiteGround is one of the most trustworthy web hosting and domain name hosting company out there. You can’t go wrong with registering your domain name with SiteGround.